My name is Gretchen, and I am 16 years old. 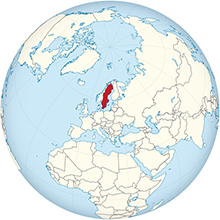 I live in the town of Sigtuna, Sweden. My father owns a leather shop in town. 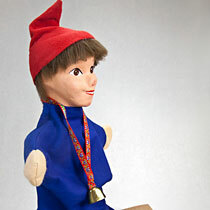 He makes leather shoes, leather belts, leather jackets, and lederhosen. He is a master craftsman, and I am learning many skills from him. After school, I work in the shop. I wait on customers and learn to work with leather. Today is December 13, and my father reminds me that we will close the shop at noon. 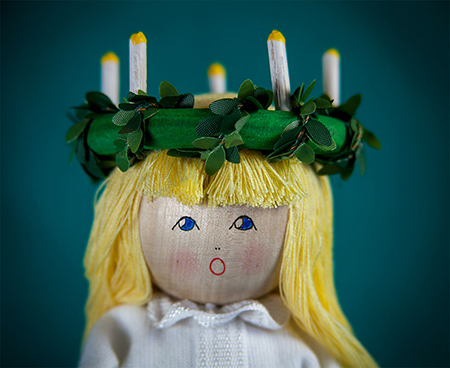 “I’m sure I don’t have to remind you that tonight we celebrate St Lucia Day,” he said. As I looked out the store window, I saw that other shops were closing up as well. Schools and banks were closed, and the grocery stores were getting ready to lock their doors. Before we left our shop my dad went into the work room and brought out a wreath with candles on the leather band. He put it on my head and it fit perfectly. 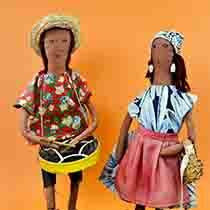 He said, “I am so proud that you were selected to represent our town as Sankta Lucia”. 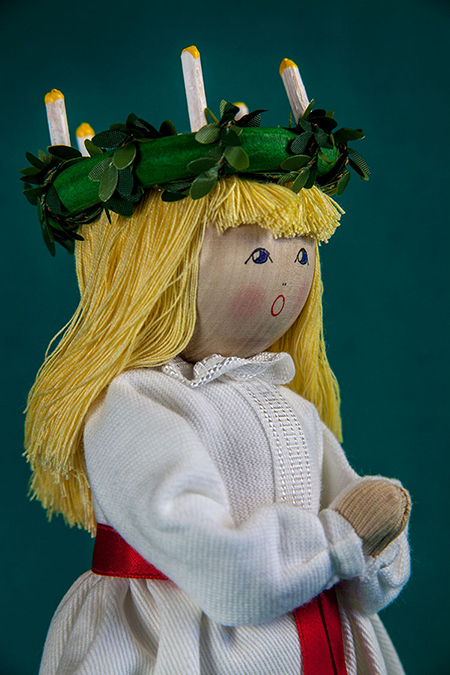 All over Sweden, each town selects a young girl to be St Lucia. 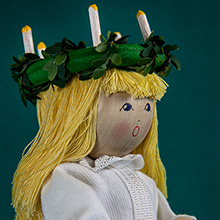 There are many legends about St. Lucia (also known as St. Lucy or Sankta Lucia). 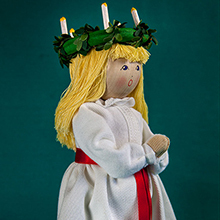 One popular tale is that St Lucia was a young girl who helped the Christians almost 2000 years ago. In ancient Italy, the Romans persecuted Christians. Therefore, many Christians hid in caves and other areas around Rome. 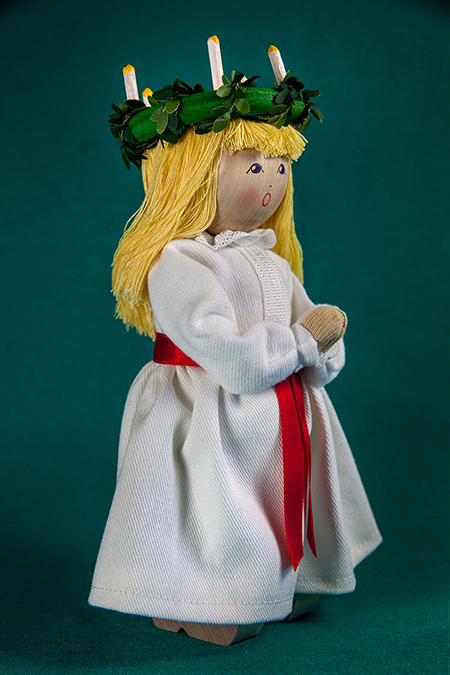 To help the Christians, St. Lucia would carry food and other supplies to them at night. In order to keep her hands free to carry more food, she put the candles on her head. 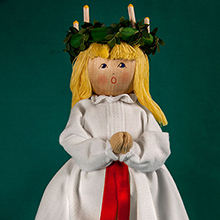 Another story is that on December 13th a ship with a woman dressed in white came to Sweden many years ago. It was a time a great hunger and hardship. 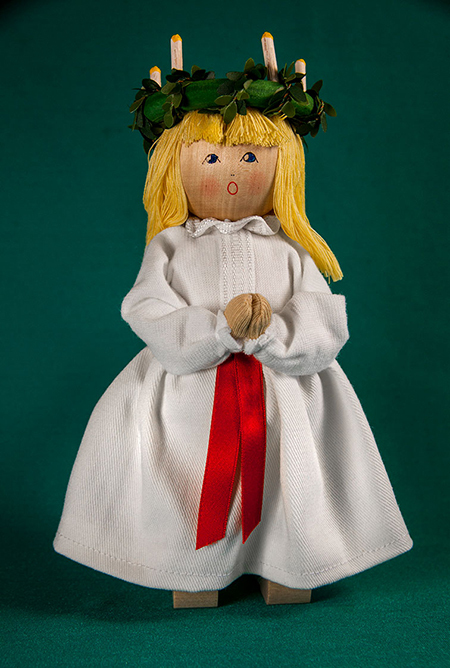 Many thought that St. Lucia came from Italy to save the Swedish people. 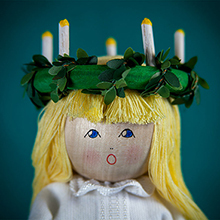 In any case, the word Lucia means “light.” Sankta Lucia brings light to the dark, cold winters in Sweden. To get ready for the parade, I put on my long white dress and red sash. The girls behind me also wore white dresses. Boys marched behind the girls, wearing white and carrying stars. The beginning of the Christmas holiday had officially begun.